Once a month (usually on the 1st), I like to post a short summary of our personal and financial situation for the previous month. 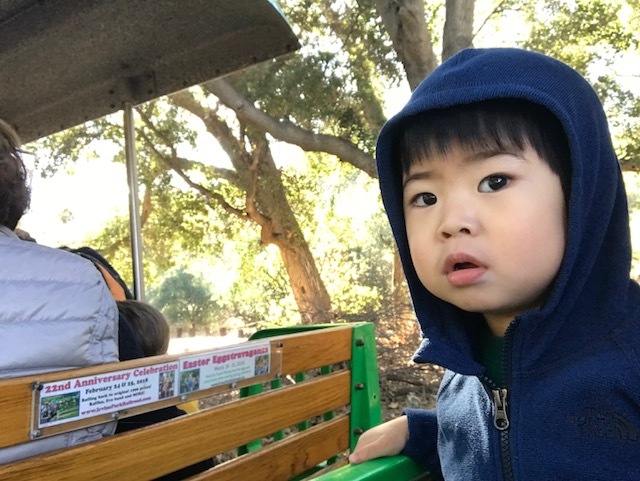 Here I’ll share some of what’s been going on with our lives and our side hustles. Welcome to February, did everyone have a good January? I hope you started off the year on a good note! 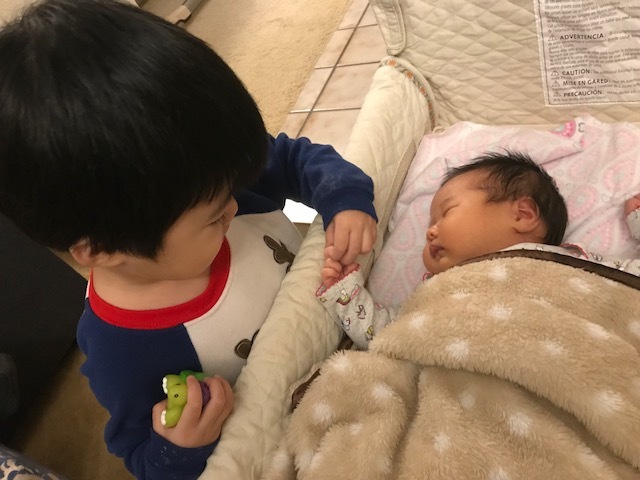 It’s been quite a hectic month with the arrival of our newborn. 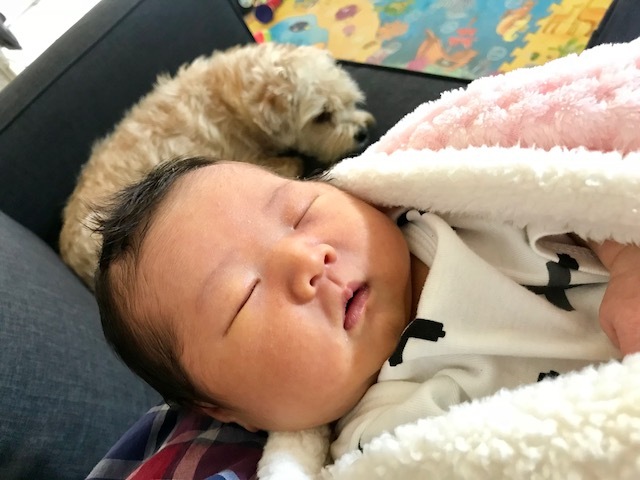 I took 4 weeks off work to stay at home and help my wife take care of our baby. During this time as my wife was recovering, I also got a chance to spend a lot of one on one time with my son. 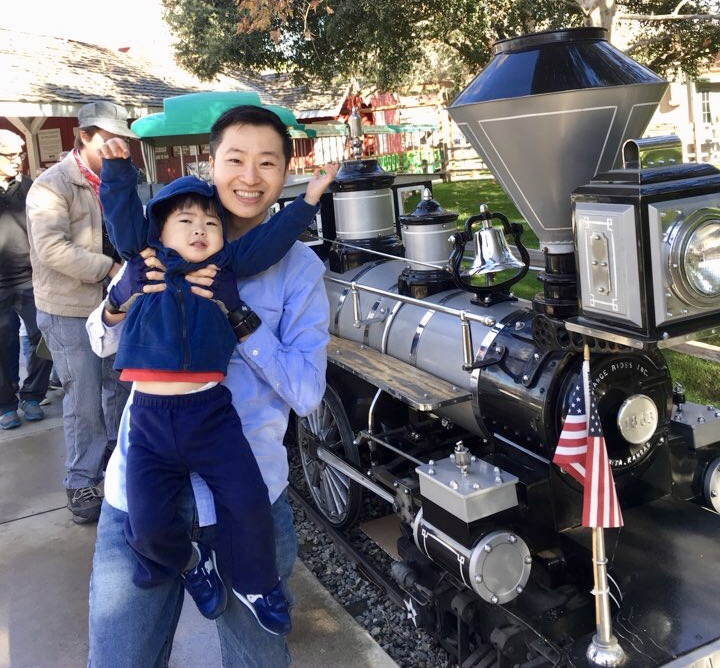 Our son loves trains and he was able to go on his first train ride at the Irvine Park Railroad. The train is 1/3 scale and goes around the park and lake. 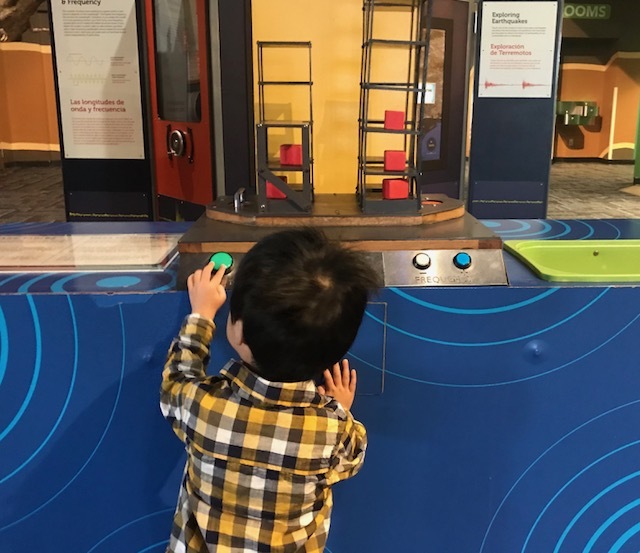 We had a great time exploring the Discovery Cube science center. 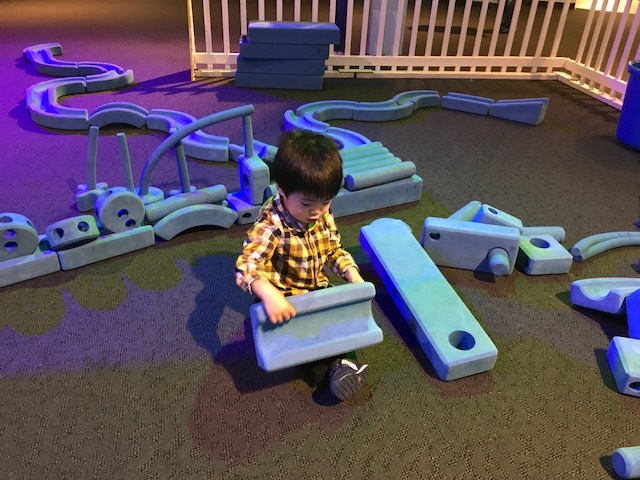 Our son is beginning to interact with all of the exhibits. 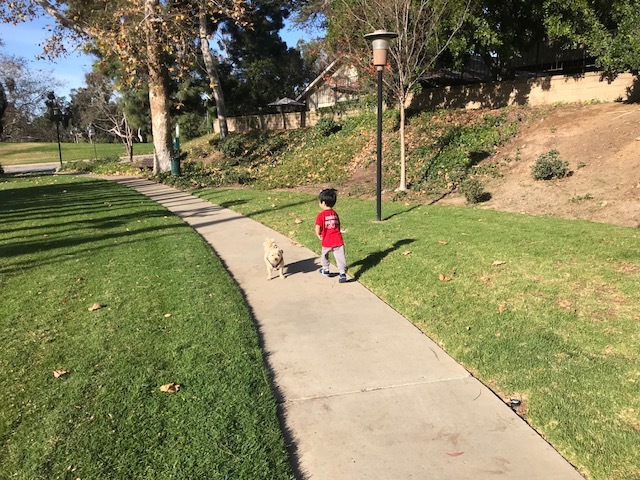 As usual, our son just loves running around the walking paths in our neighborhood. 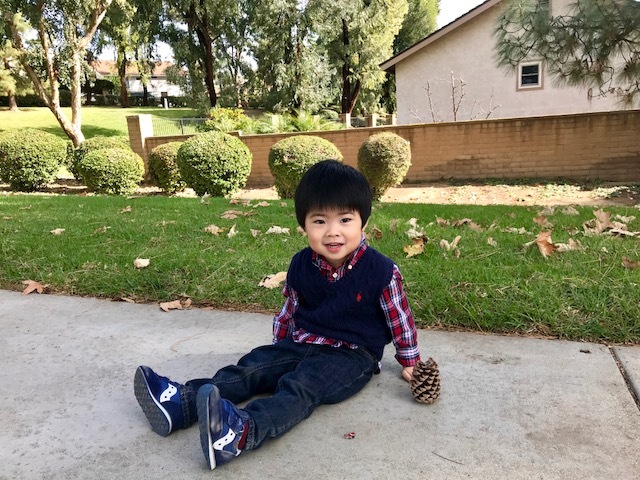 He loves collecting pinecones, playing with dirt, and touching flowers. Being home for a month was like a preview of being retired. We found plenty to keep us busy. I enjoyed every moment of time off that I had and it’s hard being back at work now. I previously shared that one of our main focus points for 2018 was to eat healthier and save money on groceries and restaurant expenses. One unexpected benefit of being home all month with our newborn was that we didn’t go out to eat or get take out food like we normally do. Preparing food at home was simply more convenient than going out to a restaurant. When you cook at home, there’s no need to get dressed, waste fuel, time and money going out. I’m no professional chef, but I feel like my cooking skills have definitely improved this last month. All month long, I only went out to eat at a restaurant one time for a friend’s birthday dinner. Every other meal was made fresh at home! This past month I focused on cleaning and de-cluttering our home. I started by collecting clothing that remained unworn for several years and donating them. Then I cleaned out our pantry and freezer. It was quite a shock to throw out so much uneaten food. Most of the items had been expired over 4 to 5+ years. Some of it was food items left behind by our previous roommates. Other items were just things we had purchased and completely forgotten about as they were tucked deeper in the pantry and freezer behind new food purchases. I threw away things like expired cooking oils, boxed soups, old frozen fish and meats that had freezer burn, expired baby formula and other processed foods. I’ve learned that some items we do better not purchasing in bulk – like frozen salmon or chicken thighs from Costco. It felt great to tidy up our pantry but it also felt wasteful discarding all of the uneaten foods. I’m motivated to be less wasteful with food this year by purchasing foods that we will definitely eat in a timely manner. In the past, we would purchase foods that were difficult to prepare, then put off cooking it until it went bad. This includes random foods like eggplant, kale, and pumpkin. I’m also purchasing more frozen vegetables, so there’s no worry about fresh produce going bad. Frozen vegetables can be just as nutritious as fresh vegetables. Fresh produce is often picked prior to being ripe, and then ripens during transportation. Frozen vegetables are picked at their peak ripeness and then frozen right away. Here’s our monthly summary of side income that we have generated in the previous month of January. On 1.4, I received a $300 statement credit on my Chase Sapphire Reserve credit card. On 1.4, my wife also received a $300 statement credit on her Chase Sapphire Reserve credit card. We purchased 3 Delta Airline tickets to fly to Seattle to attend a wedding in June 2018. The cost of the flights came out to be $748.80, and the customer service representative I booked the flight with on the phone let me split the payment on 2 separate credit cards. We only paid $148.80 for a $748.80 flight! 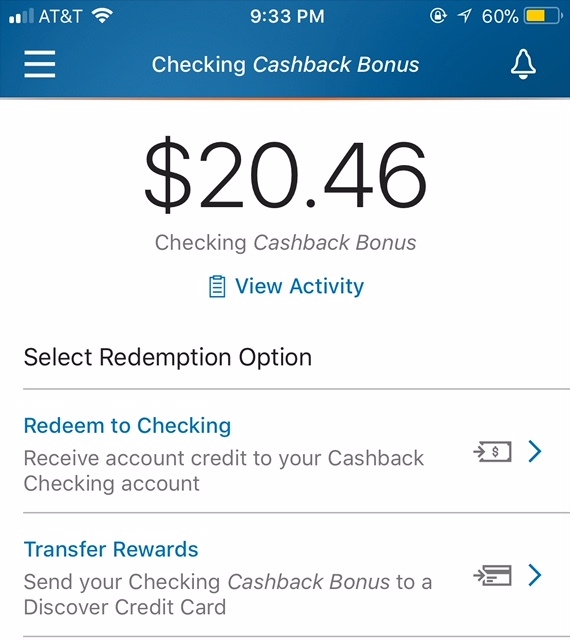 On 1.4, I received a $20.46 Cashback Bonus in my Discover Checking account. When I use my Discover debit card, I get 1% cash back. Normally, I’m not too excited about making purchases with my debit card. However, the mortgage company that services our rental property does take monthly mortgage payments with a debit card. I made 2 rental property mortgage payments in December and received 1% cash back on the payments! On 1.8, I received a $12.05 check from the Mr. Rebates cashback shopping portal. 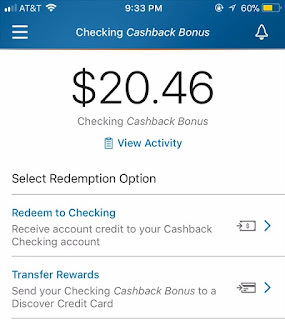 On 1.24, I received a $2.56 credit on my Chase Sapphire Reserve credit card from Yelp Cash Back. It’s easy to link your credit card number with Yelp and if a restaurant you dine at is a participating member of Yelp Cash Back, you get a deposit straight into your credit card. This is on top of any points you earn from your credit card. On 1.8, I received a check for $40 from MyImpactNetwork for completing a medical survey. On 1.10, my wife received a $25 Amazon gift card from Amazon for doing a survey. On 1.17, I received a $30 Amazon gift card from GLocal Panel for completing a medical survey. On 1.23, I received a $70 Amazon gift card from GLocal Panel for completing a medical survey. When you are home busy with a newborn, online surveys can be an easy way to make extra money. Most medical surveys often much higher pay rates than traditional consumer surveys. I haven’t done a telephone consultation in a while, but those can pay several hundred dollars for just an hour or less of your time. On 1.5, we received a net profit of $430 from our rental property. Our tenants paid on time, yay! On 1.29, I received a check for $162.50 for teaching at the local university. Teaching is definitely my favorite side hustle and I find the opportunity very rewarding. On 1.2, I received a $300 statement credit in my new Chase Business Checking account. Chase offered me a promotion to earn $300 after opening a new business checking account, depositing $1,000 and making 5 qualified transactions (checks paid, online check deposit, debit card use, etc). This bonus was extremely easy to earn with almost no effort. We will be using this business checking account to manage our rental property. On 1.4, I went to my local Coinstar to deposit a bunch of coins we had laying around. The total came out to be $7.12, which I redeemed for a no fee Amazon gift card. This spare change was just sitting around in piggybanks. Coinstar makes it easy to cash out your coins, if you have a minimum of $5 worth. On 1.10, my wife received a $37.50 statement credit on her Chase Sapphire card since she cancelled her Sapphire Reserve and downgraded it into the no-annual fee Sapphire card. Chase provided a pro-rated refund. The Chase Sapphire Reserve card was one of the best bonus offers when it first came out. My wife was able to earn a 100,000 point sign up bonus, along $600 worth of travel credits ($300 for 2017 and $300 for 2018), while only paying a one time annual fee of $450, which now got reduced by $37.50 after she cancelled her card! I’m keeping my Sapphire Reserve for now so it’s not necessary having 2 separate Sapphire Reserve cards in our household. All of this totals $1,737.19 from our side hustles for the month of January. This is a great way to kick start our new year of earning, saving and investing. Life is going to get much more hectic from here on out!